You may have seen or heard about the House of Lords special report into women in broadcast news and current affairs. The report made some pretty trenchant points about the lack of women interviewees on TV and radio news, also the poor representation of women in senior posts in newsrooms and the way women aged over 50 seem to disappear - or be 'disappeared' - in the news broadcast business. The report was commissioned by the Communications Committee, chaired by Lord Best. There were thirteen Lords on the committee, including Baroness Bakewell (a leading broadcaster), Baroness Scotland (Attorney General) and Lord Dubs (Chair of the Broadcasting Standards Commission). No pressure there then - but being asked to be a Specialist Adviser was a challenge as well as a privilege. I was asked because of my work on women interviewees, largely captured in the Expert Women campaign for more women on TV and radio news. This was done at City, with students from the Department of Journalism surveying programmes every month for Broadcast Magazine and showing that male authority figures on TV and radio news outnumbered women by four to one. I'd also surveyed the ratio of male to female reporters and presenters, and my colleague Professor Suzanne Franks had written a book on women in journalism. So we had covered the piste, as they say. But after my first meeting with the clerks to the House of Lords it was obvious that more legal expertise was needed - the role of women in news broadcasting would involve detailed knowledge of legislation. So it was decided that I could have another advisor, and where better to try than The City Law School? As a result, my working relationship with Andrew Worthley, a barrister in our legal department, was born. And several Krispy Kreme doughnuts later, we had prepared our opening presentation to the committee. We presented it last October. Along with this presentation, designed to lay open the background and the issues, my job was to suggest and arrange witness for their Lordships, to suggest questions, to help draft the report, to ensure that their Lordships' queries were answered and to provide insider knowledge. Andrew did the really clever stuff. I think the Lords were particularly impressed by his CV which also asserted that he was a guitarist up for gigs! It was great to collaborate with Andrew and work with someone from a very different discipline within City. I think it's fair to say we were not sure how our presentation would be received. Most people think that there are plenty of women on the news, and it is only when you reveal the figures that they realise women are very under-represented. But the Lords very quickly became engaged and later in the process one committee member said: "This is one of the best reports we've done". Witnesses included Cathy Newman from Channel 4, Penny Marshall from ITN and Miriam O'Reilly, formerly of BBC Countryfile, the NUJ and the BBC Trust. Ed Vaizey from the Department for Culture, Media and Sport and Nicky Morgan, Secretary of State for Education and Minister for Women and Equalities, also appeared as witnesses. And Professor Suzanne Franks from City gave evidence too. It was great to collaborate with Andrew and work with someone from a very different discipline within City, and also to know that the work I had done over four years was being used by the Upper House. The Government is now obliged to reply to the Lords' concerns and the issue will return to be debated. The Committee has suggested that if the monitoring of data on women in the broadcast news hasn't improved within a year, with a view to improving the representation of women, then regulators should step in. It could be one of those reports which really do alter the landscape - for the good of the 51 per cent of people in Britain who are female. For more information on the report, Lord Best outlines it in this video. 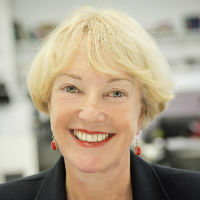 Professor Lis Howell is Director of Broadcasting and Head of the MA courses in Broadcast and Television Journalism at City. She is also Deputy Head of the Department of Journalism.